Elcommtech Corporation is a manufacturer and supplier of fiber optic communication equipment offering a full range of high quality media converters for transmission of video, voice, and data over fiber optic cable. 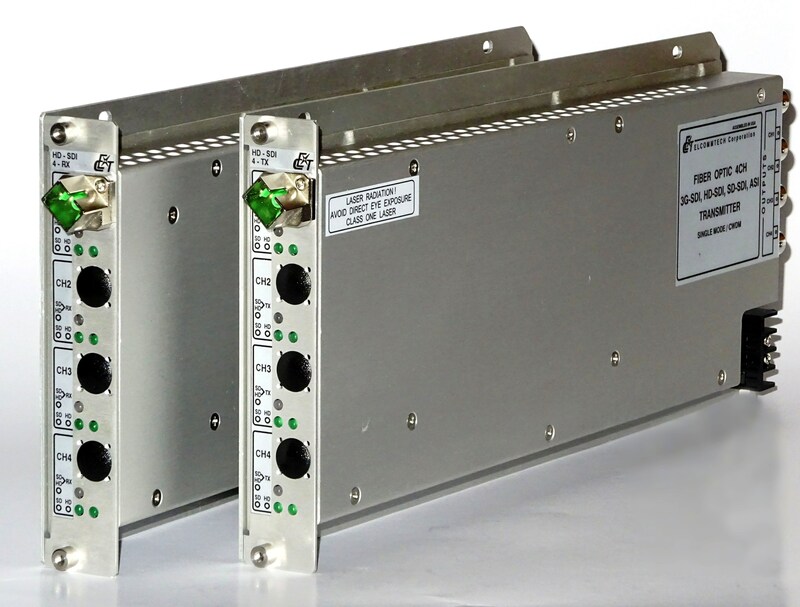 Elcommtech's product line contains a large variety of fiber optic media converters for various types of applications including transmission of composite and component video, radar video, 3G-SDI, HD-SDI, AES/EBU, RS-232, RS-422, RS-485, Ethernet, contact closure, TTL signaling, various types of audio, intercom, and more. As companies continue to move more of their manufacturing facilities abroad, it has become harder to appreciate those unique products that are truly "Assembled in USA". Elcommtech is proud of the fact that design, assembly and testing of our products is conducted right here in the USA. 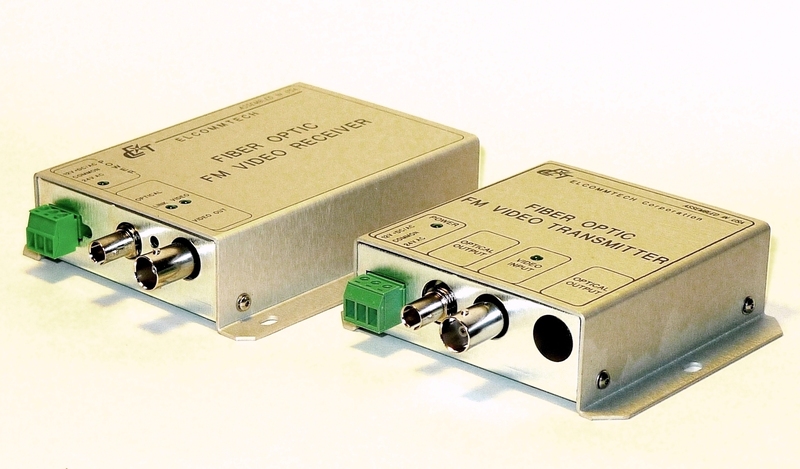 Elcommtech's product line includes large variety of high quality fiber optic media converters for transmitting composite and component video, digital HD-SDI and 3G-SDI video, as well as products designed for special applications including fiber optic media converters enable fiber optic connectivity for radar video displays, and fiber optic media converters for data acquisition and custom instrumentation. 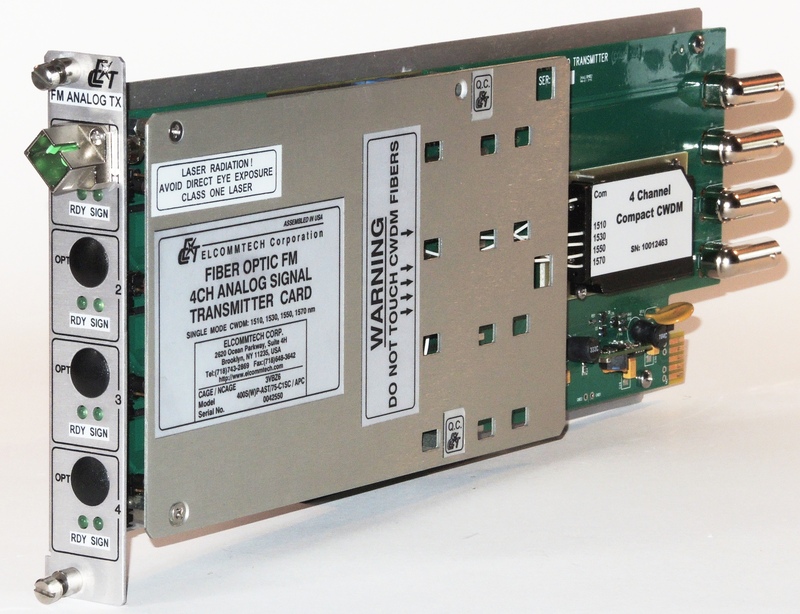 In additon to point-to-point single channel converters (links) Elcommtech offers a variety combined video, audio/data links and multichannel digital links (multiplexers) allowing transmission of multiple signal sources over a single optical fiber. 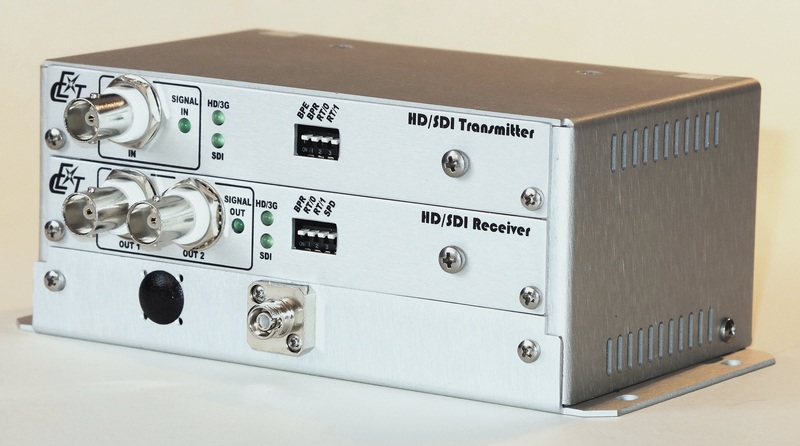 Data transmission products allow copper-to-fiber media conversion for RS-232, RS-422, RS-485, TTL, contact closure and other types of data transmission protocols. All fiber optic links are available as standalone modules or rack-mount versions. Elcommtech Corporation provides comprehensive pre and post sale technical support including design and engineering assistance from our support team experts. Our sales engineers will help you to choose the most cost effective and efficient solution available and will answer your technical questions and will provide assistance with design, implementation and system integration for the project. Elcommtech Corporation is looking forward to building new partnerships and expanding its marketing and sales force worldwide. If you are a dealer or a distributor and interested in representing Elcommtech's products please contact us for additonal information.